Take off view of the Advanced Area Defence Endo-Atmospheric Interceptor Missile of the DRDO successfully test fired, at Abdul Kalam Island, Odisha, on March 01, 2017. 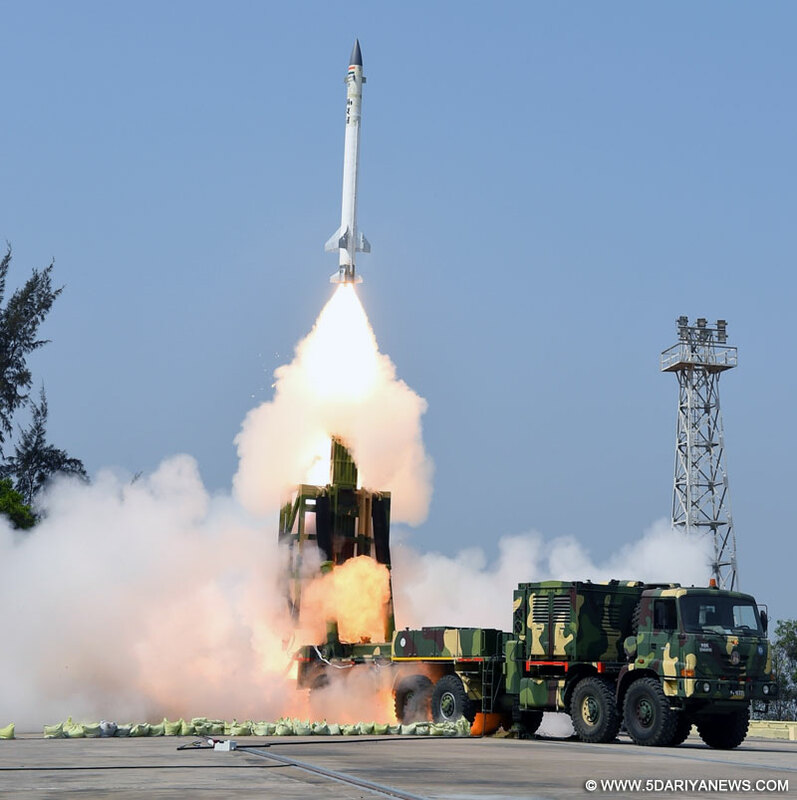 India on Wednesday successfully test fired the Advanced Air Defence (AAD) Missile, the second level of two-tier interceptor missile system that can destroy hostile ballistic missiles.The missile was launched around 10.15 a.m. at the Abdul Kalam Island off Odisha coast, officials said. "The endo-atmospheric missile, capable of intercepting incoming targets at an altitude of 15 to 25 km, successfully destroyed the incoming missile. All the mission objectives were successfully met," an official statement said.The weapon system radars tracked the target and provided the initial guidance to the interceptor, which could precisely home in on the target and destroyed it in endo-atmospheric layer.The complete event, including the engagement and destruction, was tracked by a number of electro-optical tracking systems using infrared imagery. Radars and telemetry stations tracked the target and the interceptor till the destruction of the target. "The launch has proved the Ballistic Missile Defence (BMD) prowess of the country," the statement said. Defence Minister Manohar Parrikar and Defence Research and Development Organisation (DRDO) Chairman S. Christopher congratulated the DRDO on successful launch of the missile.G. Satheesh Reddy, the Scientific Advisor to Defence Minister and DRDO Director General (Missiles & Strategic Systems), monitored the launch operation along with other officials.The AAD is part of the two-layered Ballistic Missile Defence system developed by the DRDO, the research and development wing of the Defence Ministry, with the Hyderabad-based Research Centre Imaarat (RCI).The latest test comes less than a month after India successfully tested the Prithvi Defence Vehicle (PDV) interceptor missile on February 11.The PDV can destroy a hostile balistic missile in space, before entering the earth's atmosphere.The 7.5 metre-long AAD is a single stage solid rocket-propelled guided missile, with a navigation system.The second level of the system is the endo-atmosphere AAD missile tested on Wednesday.